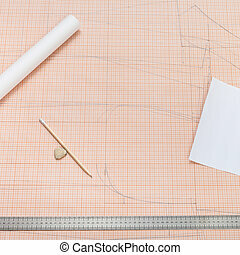 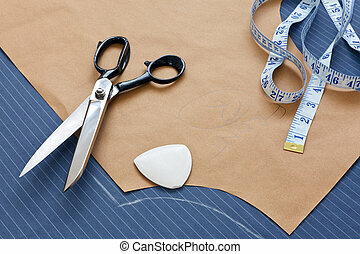 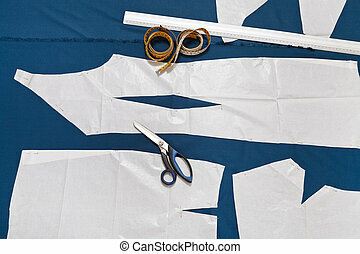 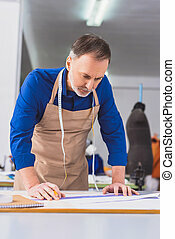 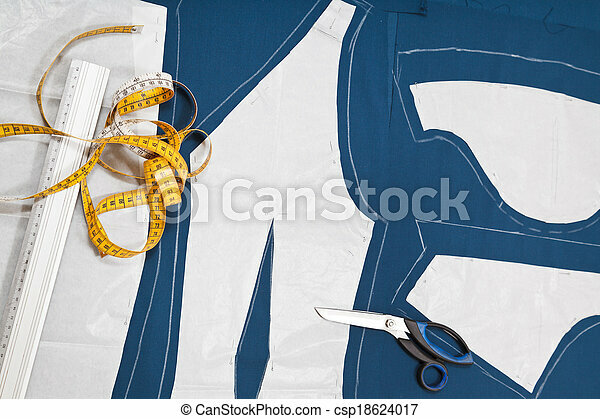 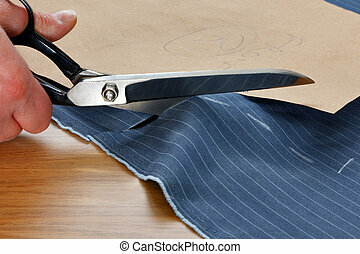 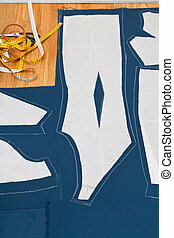 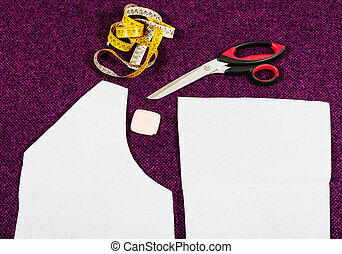 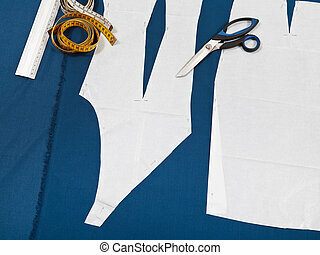 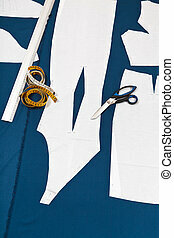 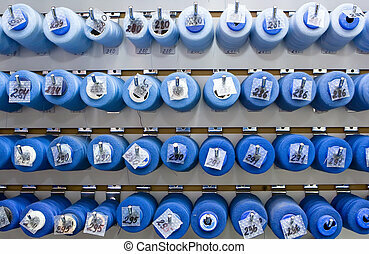 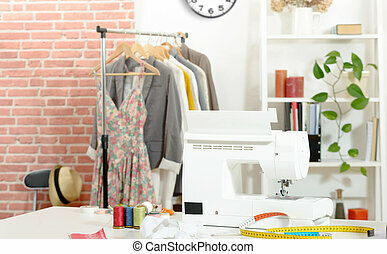 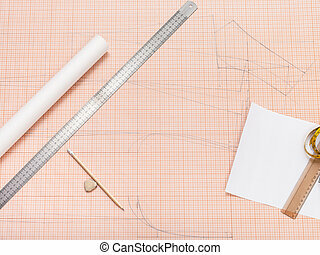 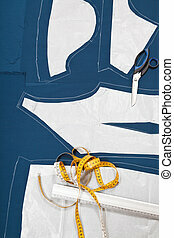 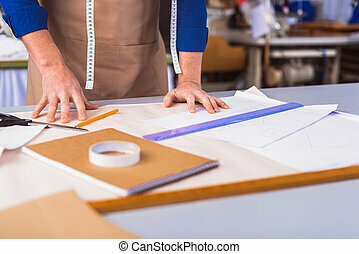 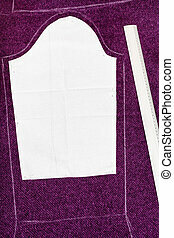 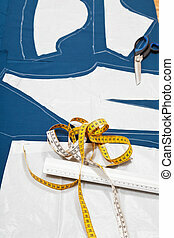 Fitter tools and paper model of clothes on blue fabric for dress cutting. 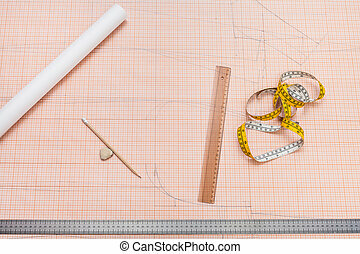 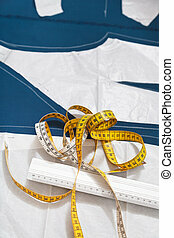 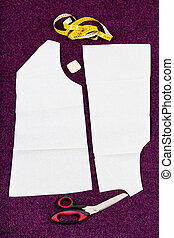 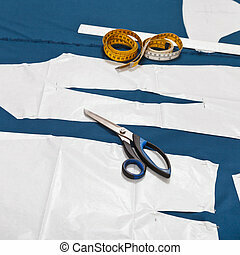 Still life photo of a suit pattern template with tape measure, chalk and scissors. 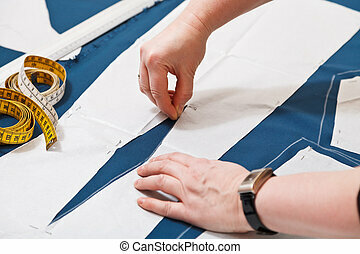 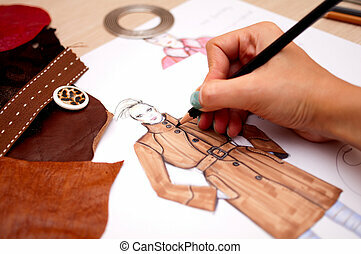 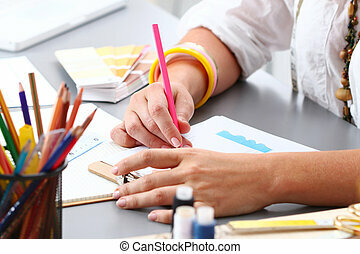 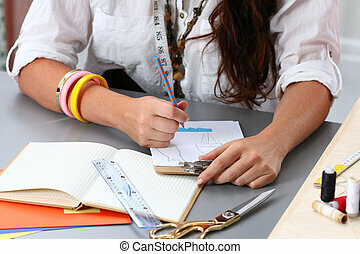 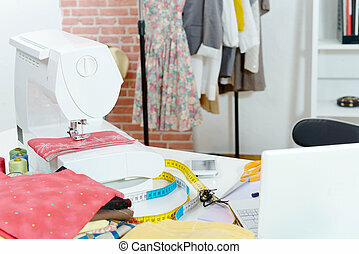 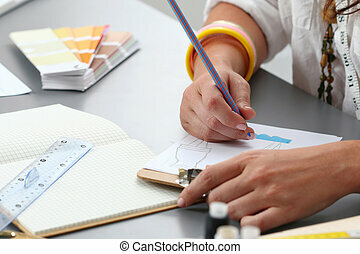 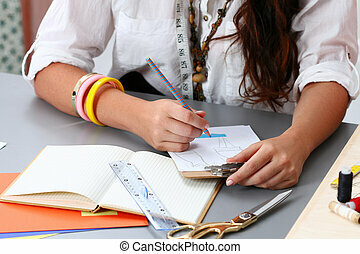 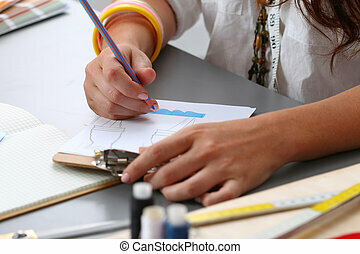 Close-up of adult female dressmaker drawing some clothing design.